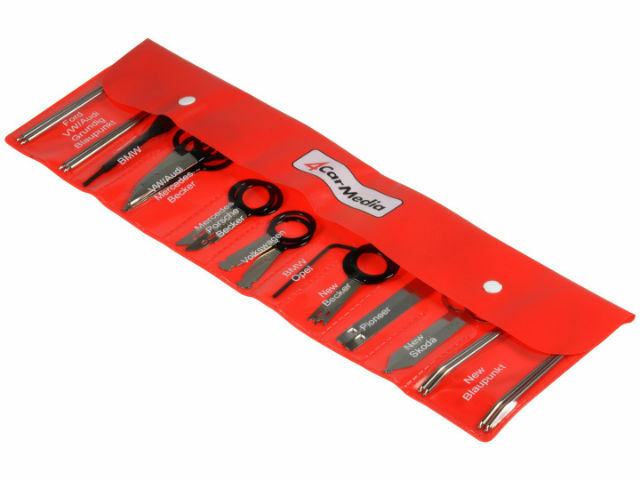 TME has been extended to include a set of spanners for disassembling car radios of the most popular car brands. Both set of spanners available until recently, allow for removing custom radios from cars of such brands as: Audi, BMW, Ford, Mercedes, Škoda, VW (KLUCZ-65.229), and the extended version INCLUDES the standard spanners for receivers of companies such as; Becker, Pioneer and Blaupunkt (KLUCZ-65.228). Both sets of spanners are dedicated for assemblers and garages and are made from high-quality materials.